156497 on the 14.47 Leeds-Carlisle. 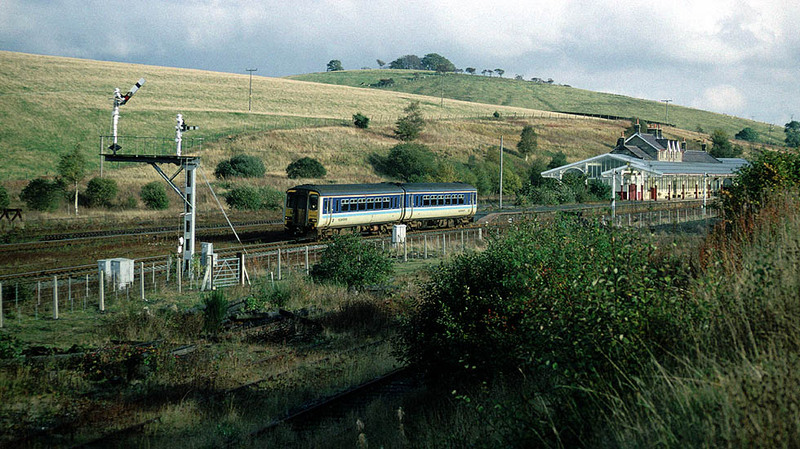 The railway still occupies a large amount of land at Hellifield though the sidings are rarely used and trees and shrubs now occupy the north bay platforms. The station is rather grand for an unstaffed country stop but Hellifield was once a major junction. The Midland engine shed was across the line with the carriage shed to the north - yes it had a carriage sidings too! The train is approaching the location of the former North Junction signal box which was situated between the lines, it has long gone of course but thankfully a small selection of semaphores are still on view.